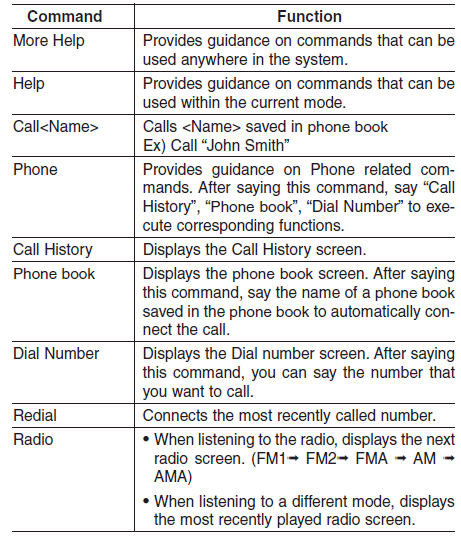 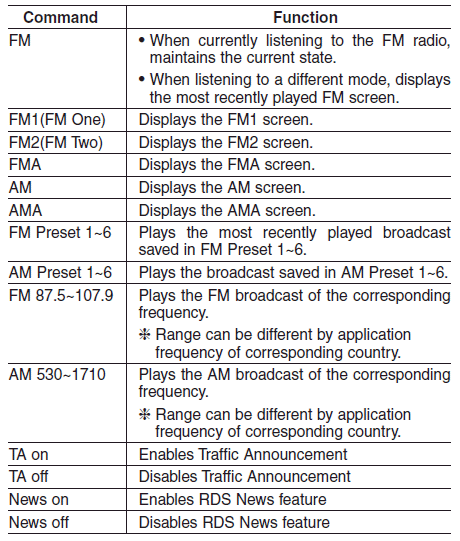 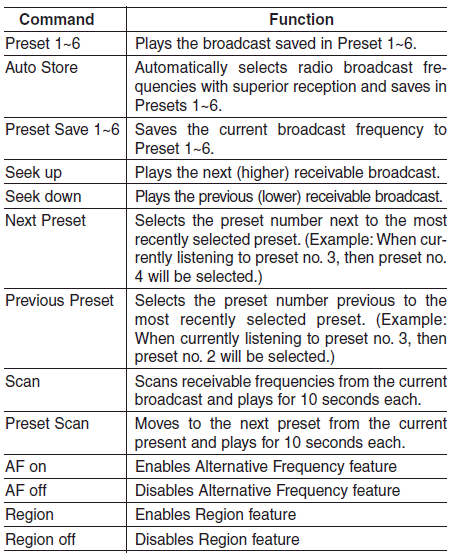 • FM/AM radio Commands: Commands available during FM, AM radio operation. 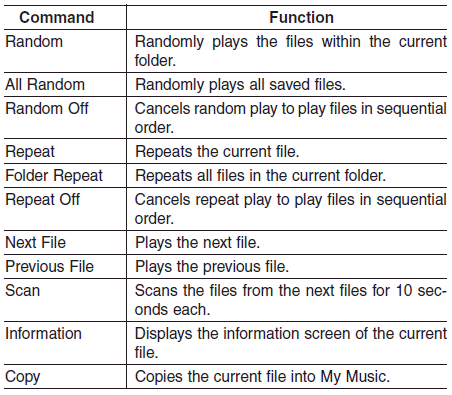 • Audio CD Commands: Commands available during Audio CD operation. 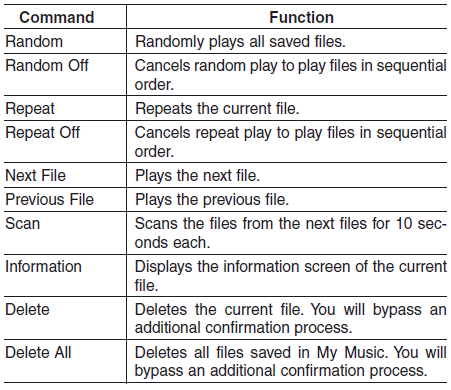 • MP3 CD / USB Commands: Commands available during USB and MP3 CD operation. 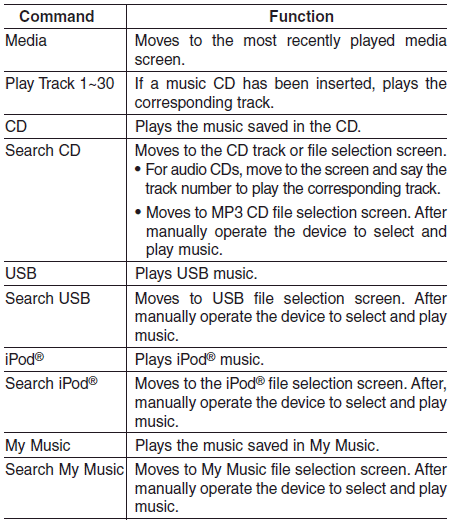 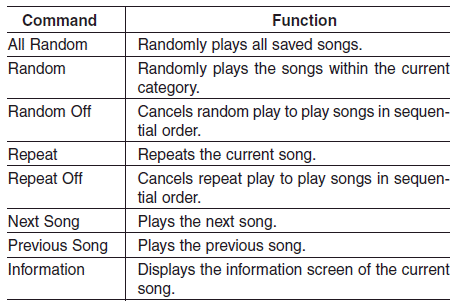 • iPod® Commands: Commands available during iPod® operation. 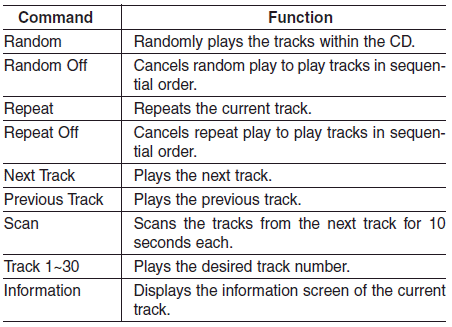 • Bluetooth® Wireless Technology Audio Commands: Commands available during Bluetooth® Wireless Technology audio streaming from mobile phone operation Command Operation.